As CEO and a co-founder of McBassi & Company, Dr. Laurie Bassi is one of the world’s leading authorities on the emerging “decision-science” of human capital management – the processes and practices within an organization that align the management and development of employees with its business results. 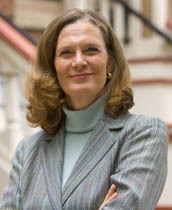 The early years of Laurie’s career were spent as a tenured professor of economics and public policy at Georgetown University. Laurie has authored over 80 published papers and books. She holds a Ph.D. in economics from Princeton University. Leading a major organizational and cultural turnaround is never easy. But Jim Shaffer’s advice and experience has been invaluable in helping our leadership team provide proper focus and direction, increase employee engagement and most importantly, take business performance to unprecedented levels. Jim's approach is driven by and leads to real and meaningful business outcomes. One session with Jim provided me with enough ideas to shave 3% from our total operating budget… plus I'm a better communicator. Jim opened our eyes to the value of managing the operational and people aspects of the business to influence leadership and employee performance. His leadership and counsel on targeted safety, quality and productivity improvement initiatives in our supply chain have delivered results that exceeded anyone's expectations. It didn’t take long to realize that Jim would become a trusted advisor to me. His 30+ years of high level management consulting, especially in the area of change management, are fuel for a wealth of case studies on how communication professionals turned their practices from delivering “stuff” to delivering value. After conducting a comprehensive assessment of our department’s work, Jim Shaffer helped us successfully navigate a new course that adds more measurable value to FedEx. Jim is helping us build the department’s capability to make a results-focused approach our new way of life. A twice-monthly newsletter about all things related to improving organizational results. Above all else, we help clients get better operating and financial results—the what. But we also help them get there by building and nurturing a culture and climate that values customers, people and a spirit of continuous improvement—the how. © 2019 Jim Shaffer Group. All rights reserved.